Want to make a rainbow? 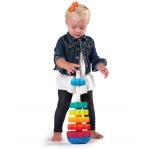 Want to keep all the round-edged shapes separate? You can! 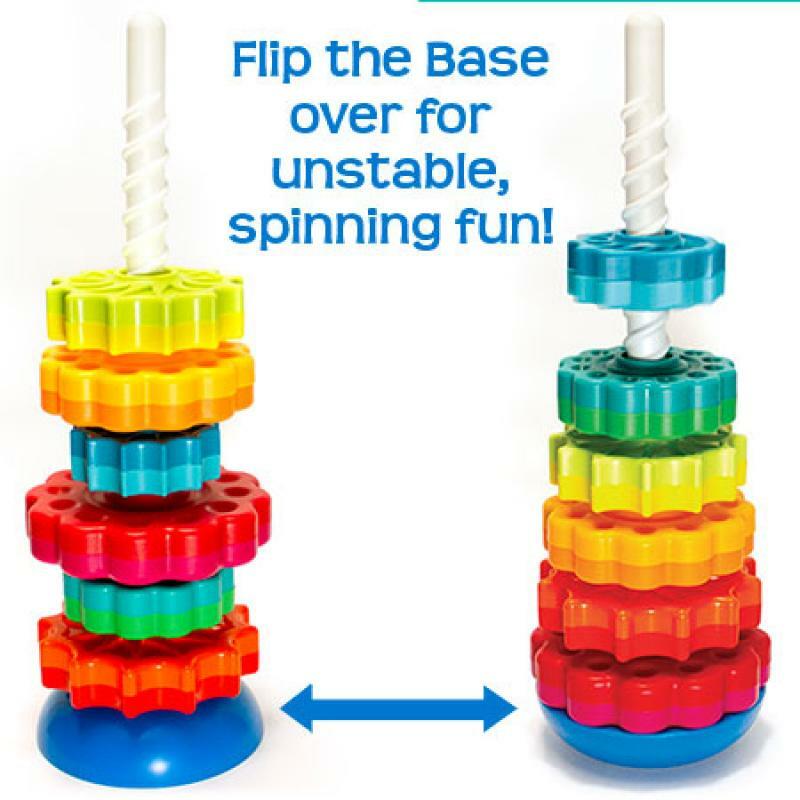 Even the smallest disc can spin all the way to the base. Awww, all the discs are in order; what now? 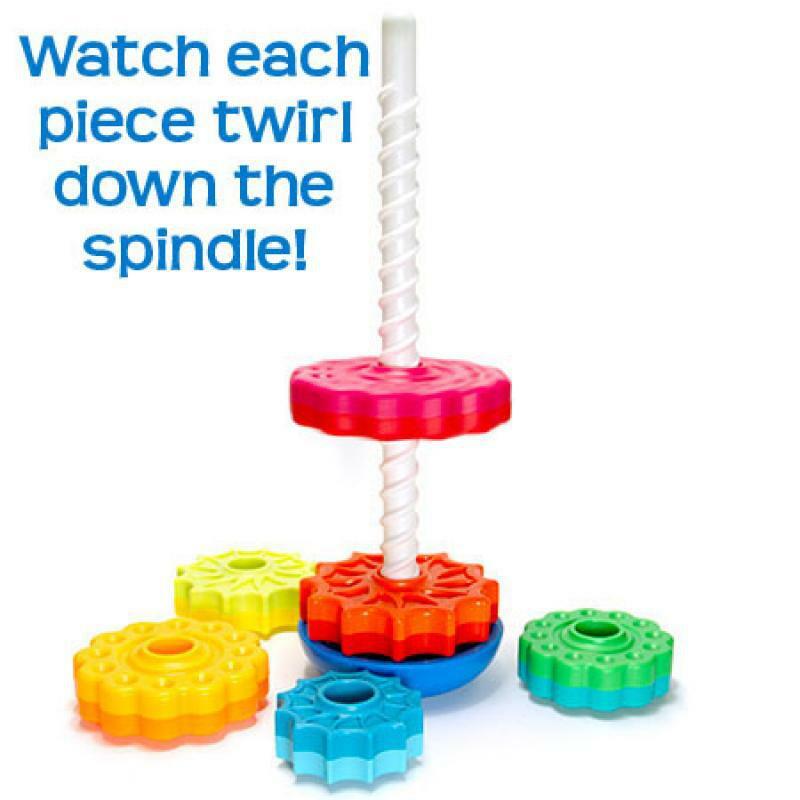 Taking the SpinAgain apart so you can start spinning again might just be the best part! 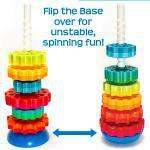 Lift up on the easy-to-release central pole and all the discs spin off the bottom! 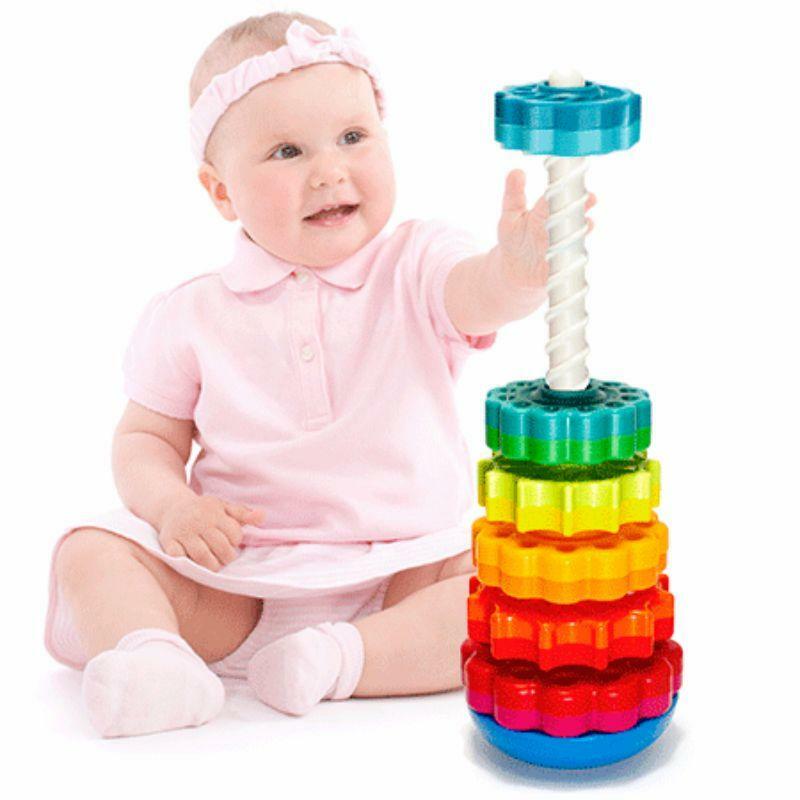 This visually stimulating toy will keep your little ones enthralled as they practice their hand-eye coordination and baby engineering skills! 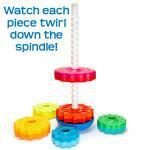 There's stacking, there's twirling, and then there's SpinAgain! 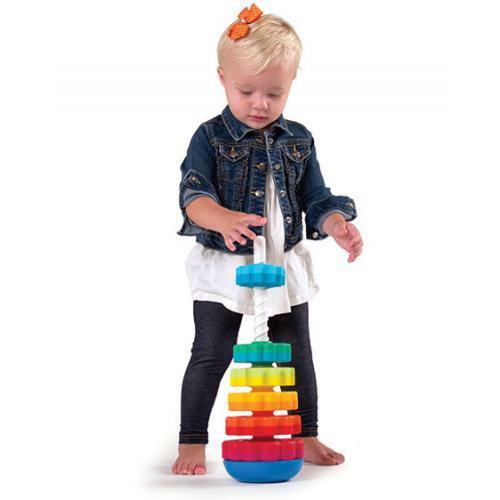 SpinAgain The first ever stacking and twirling toy!